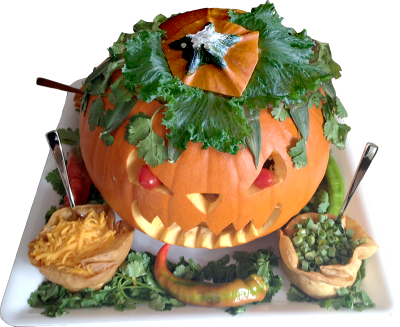 Get ready for the most memorable, ghoulish, and SPOOK-tacular Halloween Party you’ve ever catered! With DeCicco & Sons Events & Cuisine, you’ll enjoy the most devilish cuisine– from our signature Pumpkin Chili Jack and BBQ Bat Wings to Graveyard Fries and Cheesecake Ghosts… and everything in between, including a huge selection of unique ciders and beverages! From the invitations to the decorations, all you need to do is sit back, relax, and enjoy the fun! It’s so BOO-tiful, it’s downright scary! 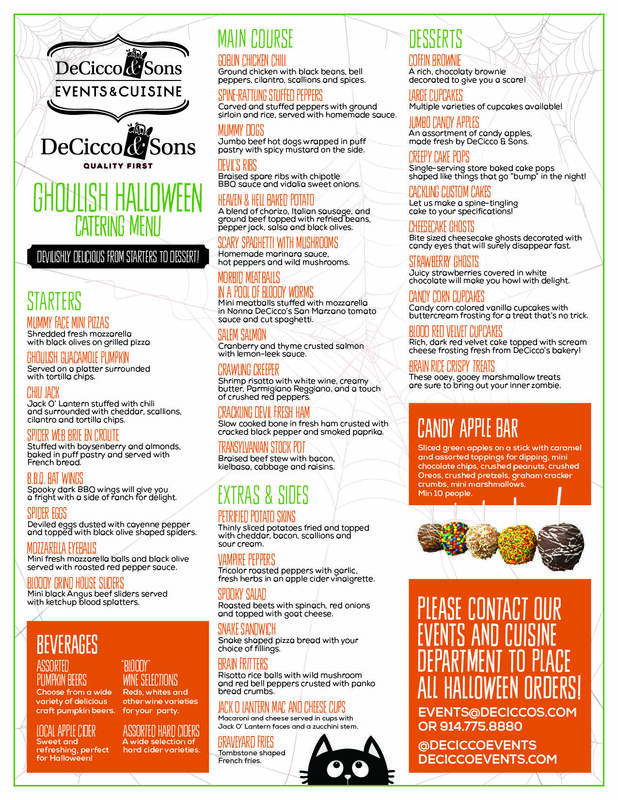 Check out our Ghoulish Halloween Menu below and see how we can enhance your Halloween shindig!